These lines from the Roman poet Horace appear in the preface to the Café Royal Cocktail Book, a legendary tome in the history of bartending. 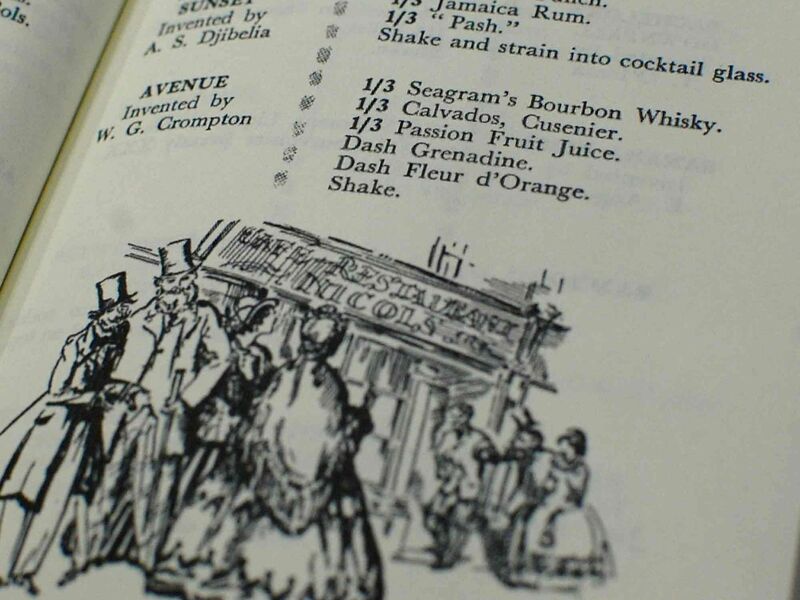 Written by William J Tarling and published in 1937, this bible of mixology pioneered a number of modern classics, including the margarita, and codified the art of creating the perfect cocktail in the early 20th century. Hotel Café Royal’s Green Bar is paying homage to the Cocktail Book with the launch of a new menu featuring reimaginations of key recipes from historic decades. From the Old Fashioned to the Martini, classic tipples are referenced along with brand new creations, giving patrons a taste from every age. It was at this time the Old Fashioned, the Daiquiri, and the Martini were born, and the Green Bar’s new menu includes cocktails inspired by these classics. The Martini Time features lavender-infused vodka, while The Glasgow tantalises with 10-year-old Glengoyne whiskey and peppermint and anise honey. Though America had introduced the cocktail to Britain, the US closed its doors to alcohol during the 20s when prohibition was passed. The manufacture, storage, sale, and consumption of alcohol was banned, leading to the creation of secret bars behind hidden doors and shop facades. The age of the speakeasy still gave rise to many interesting cocktails, all the more inventive for the difficulty of their making. Today, the taste of the 20s comes from imported Mahon gin, homemade bee pollen syrup, and Bulleit rye whiskey. 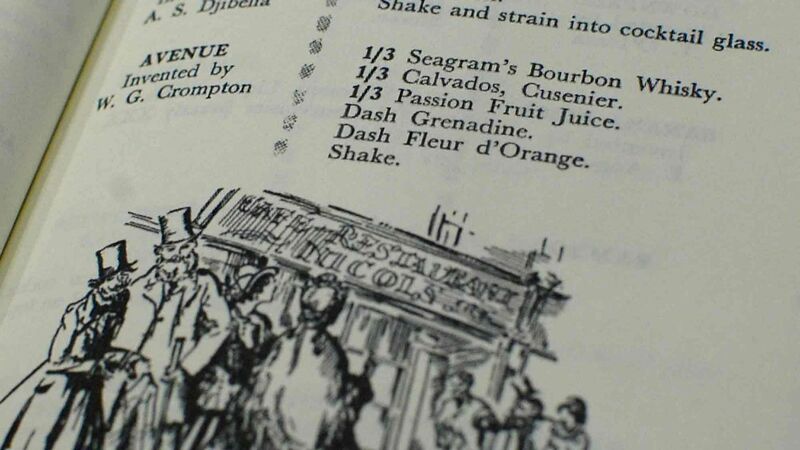 The Green Bar’s new cocktail menu takes inspiration from more recent ages, too. While drinking took a darker turn in the later half of the 20th century, with binge drinking becoming a problem for the authorities, there are still delights to be found here too. Rum and vodka based cocktails are popular, though in the Green Bar they’ve been given a twist of sophistication with fresh juices, syrups, and bitters. The contemporary cocktails bring change, discovery, and innovation, an age of trying new things. Classics such as absinthe and Angostura bitters still have their place, adding familiar notes alongside newer flavours and spices. The providence of such flavours are also more global than ever, with shichimi syrup and Nikka Coffey Grain Whiskey from Japan, organic Kombucha and Indian dhania infused with Mexican tequila mirroring the tastes of today. Hotel Café Royal has a long history as a place where people come to enjoy the most interesting and contemporary drinks and cocktails from the best mixologists, and the Green Bar continues this tradition for today. With the launch of the new menu, now is the perfect time to visit and sample 160 years of history and unique flavours. The Coronation Edition of the Café Royal Cocktail Book can be purchased via Mixellany.